Papamoa’s Re-Energise Physio has a special approach to physiotherapy, with a team of experienced physiotherapists on hand to take care of each client’s unique needs. 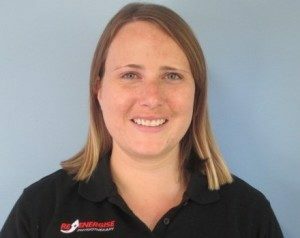 Jo Fox, who joined Re-Energise Physio this year after moving to Papamoa in 2015, brings a unique set of skills to the clinic, including an interest in neurological physiotherapy. Jo spent two years as a teacher aide and caregiver, working alongside a physiotherapist to provide therapy to special needs children. At Re-Energise Physio, Jo has worked with a number of clients with musculoskeletal injury and neurological conditions, which she says impacts their physiotherapy management. Jo says she is getting a great deal of satisfaction from her work at Re-Energise Physio. “I love getting to know clients personally, whether through the Papamoa clinic or the rest homes I work in,” she says. “I understand that pain and injuries effect how people experience life and I enjoy helping people be relieved from their pain. Re-Energise Physio is located on Parton Road, Papamoa and welcome enquiries.